For sale, this beautiful unique accommodation (original 17th Century) offering 5 large self catering apartments as well as a multifunctional room for events, weddings, meetings, communions or anything you can think of to a max of 200-250 persons. 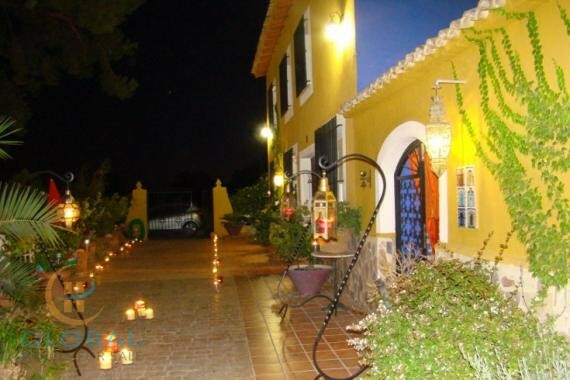 The property has been managed and maintained with love and care and this reflects its beauty, its hospitality, its tranquility, surrounded by the wonderful scenery of the Nature Park of the Andalusian Province. Total build is around 2500 m2 divided over a total of 3 levels. The apartments vary from 60 - 150 m2 and are equipped with all necessary facilities for the guests. There are 12 rooms with 11 bathrooms divided over these apartments. The maximum capacity of staying guests is 24. Furthermore there is 1 restroom and 3 toilet accommodations in the multiples room. The pool is situated in the olive orchard and has views, offering absolute privacy and tranquility. This property is a unique architectural building with huge historic value. Are you that new entrepreneur preserving Spanish heritage while at the same time you are sharing the beauty of this property with your guests. Asking price, documents and more information upon request only.